The COE CSW contributes to the advancement of international maritime law that includes clarification of existing legal regulations by organising and spearheading multiple events every year. Aside from our flagship event, the annual Conference on Operational Maritime Law, the COE CSW conducts a series of Legal Workshops on specific topics such as “The Intersection of Naval Operations, Maritime Law Enforcement, and Human Rights” in 2016 or “Countering Illicit Activities as Sea” in 2015. In fact the latter workshop raised another issue of fundamental concern that needs to be investigated more in depth: The rights and the obligations of flag States. For this purpose the COE CSW gathered 30 renowned experts from more than 10 nations and entities – amongst them the Allied Maritime Command, EU NAVFOR, and the International Maritime Organization – to take a deeper look on the global concept of jurisdiction at sea with regard to the United Nations Convention of the Law of the Sea (UNCLOS) and respective regulations. 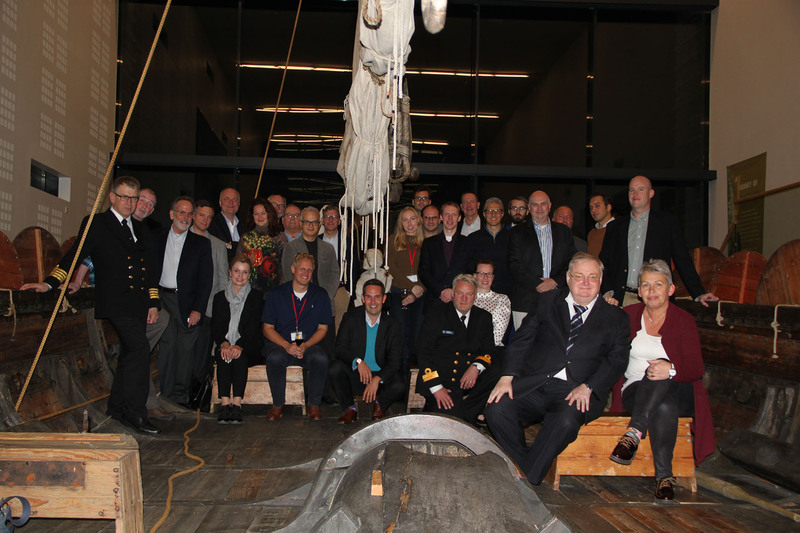 The workshop from 17 till 19 October 2017 was supported in an outstanding way by the Icelandic Coast Guard and conducted in the premises of Icelandic Ministry for Foreign Affairs in Reykjavik. The oceans are geographically, jurisdictionally, and operationally distinctive. A seminal principle of international maritime law is the exclusive jurisdiction by flag States, i.e. vessels sailing under a certain flag on the high seas are generally subject to the exclusive jurisdiction of this country. UNCLOS provides that a ‘genuine link’ must exist between the flag State and a ship flying its flag, yet the convention fails to provide comprehensive direction on the parameters of this crucial obligation. This is particularly relevant today, where criminals and transnational crime exploit lax management of ship registries, uneven flag State oversight, and all too often obstacles in the law enforcement for sailing the oceans anonymously for whatever illicit activity, for instance to carry out human trafficking, to transport illicit cargo, or to conduct pirate attacks. With participants from USA via Europe to New Zealand, the workshop developed the Reykjavik Principles – a pioneering multilateral document that – when completed and broadly accepted – will support legal authorities and naval operations countering threats in the maritime domain. The COE CSW continues its series on Legal Workshops; in 2018 we intend addressing “Legal Aspects of Unmanned Maritime Systems (UMS)”. Hot discussions on a burning maritime topic in the premises of the Icelandic Ministry of Foreign Affairs. An outstanding side programme provided by the Icelandic Coast Guard: For half the participants a sail on a Coast Guard vessel and for the other half the participation in an air patrol.